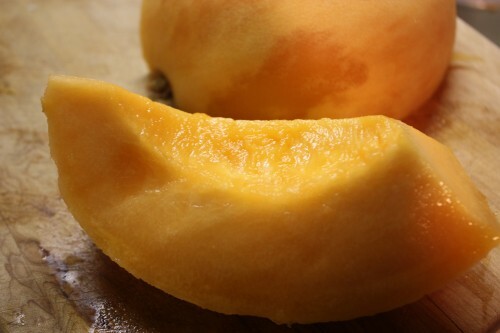 Published on August 21, 2012 in Recipes. 0 Comments Tags: appetizer, cantaloupe soup, proscuitto, soup. One of my favorite summertime meal combinations is prosciutto and melon. 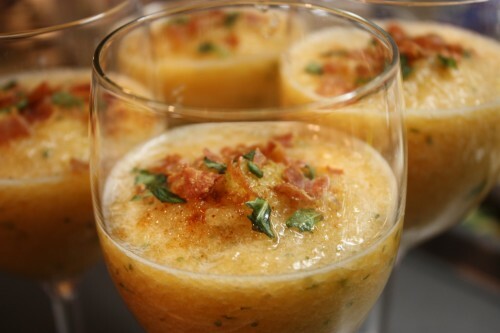 This recipe takes that concept and blends it with the ‘gazpacho concept’. While I’ve always admired those who enjoy a good tomato gazpacho, it is one of the few foodie things that has never appealed to me. I have to say that this simple recipe packs a flavorful punch and can easily be adapted for vegetarians. 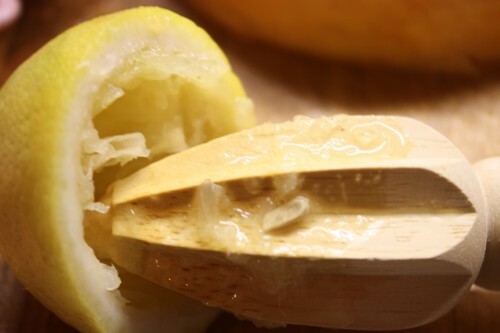 Make sure that all ingredients are well chilled before pureeing. 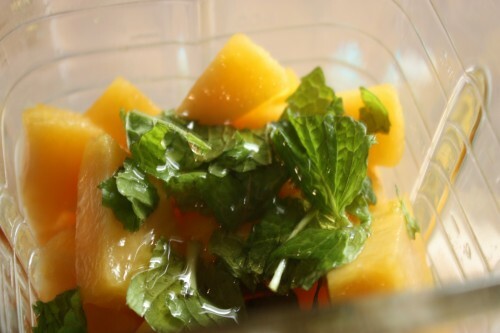 Puree cantaloupe, honey, lemon juice, mint and wine in a blender or food processor. 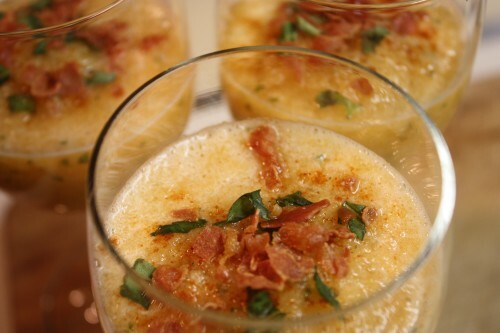 Ladle into cups or wine glasses, top with basil, paprika and prosciutto.